1. Hare and Hounds pub Five Week restaurant project. 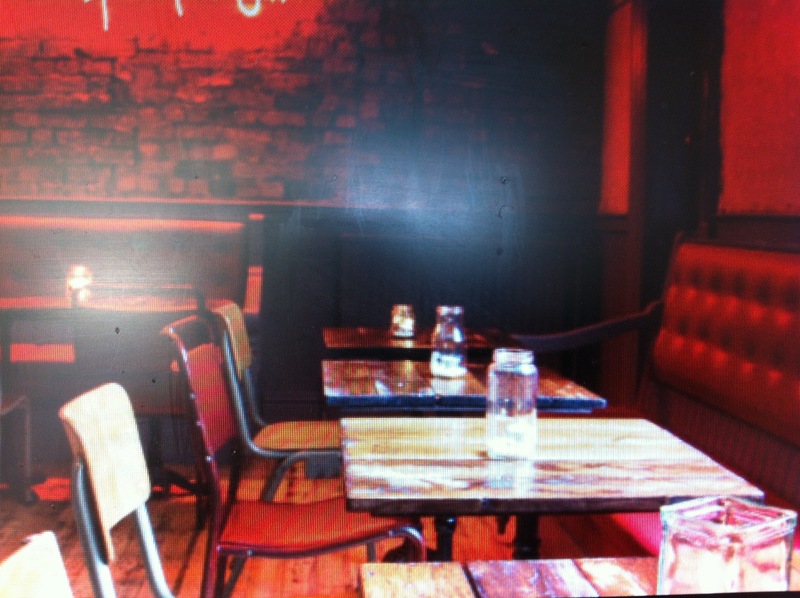 With a different pop up project every week taking over their recently refurbished upstairs bar area and kitchen. 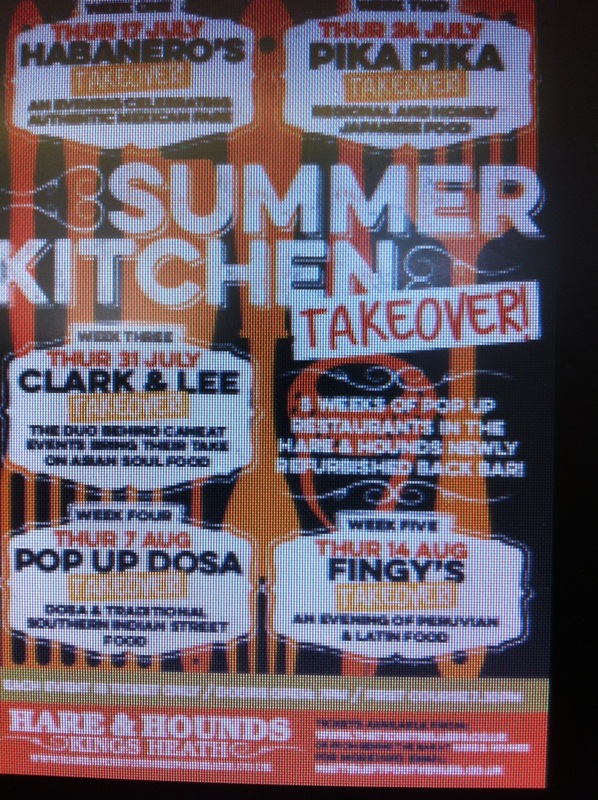 Week 1 Thursday 17th July 2014 sees City centre rustic Mexican street food pioneers Habaneros take centre stage offering 3 courses for £17.50. Begins at 7.30pm. Please note this event was cancelled. There are full refunds available. Week 2: Japanese caterers Pika Pika pop up on Thursday 24th July to provide 3 courses of authentic Japanese food including a veggie set menu for £15. Week3: Esteeemed pop up due Clarke and Lee of CANeat fame take over the bar with their twist on Asian soul food. See Clarke and Lee in the Heath plus cocktails from the Hare and Hounds on the 31st July at 6.45pm. Price £22.50. Week 4: veggie Pop up Dosa offer their fab dosas (like crepes) from the southern Indian region of Kerala. Starts at 7.30pm for 3 courses costing £12, bargain. 🙂 on the 7th August. Dosa’s can be made vegan by request. 5: August 14th: Fingys Take Over. Alan ‘Fingy’ Thomson brings an evening of Peruvian and Latin food of the highest order. Three courses for £15. Tickets available for all on website. Hare and Hounds is on York Road on the corner of the High Street. See http://www.hareandhoundskingsheath.co.uk/events-listings for details and reservations/bookings/tickets. 2. 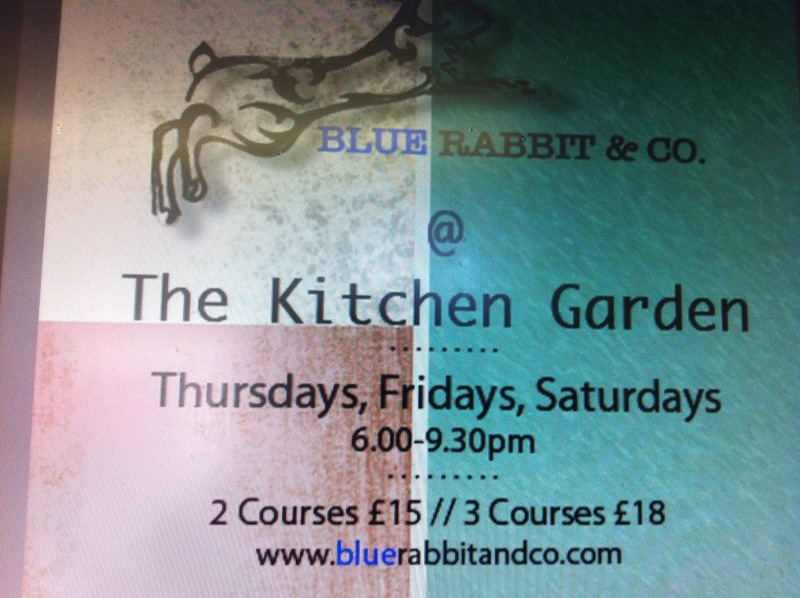 The Blue Rabbit & Co are operating out of The Kitchen Garden Cafe on York Road every Thursday, Friday and Saturday night offering 2 courses for £15 and 3 courses for £18. Led by chef Dominic Simmonds @Dominicsimmonds, they offer high quality simple food at reasonabl prices for the quality of the sourcing and ingredients. a great independent bistro idea:) There are good veggie options. Contact 0121 443 4725 for reservations. 3. 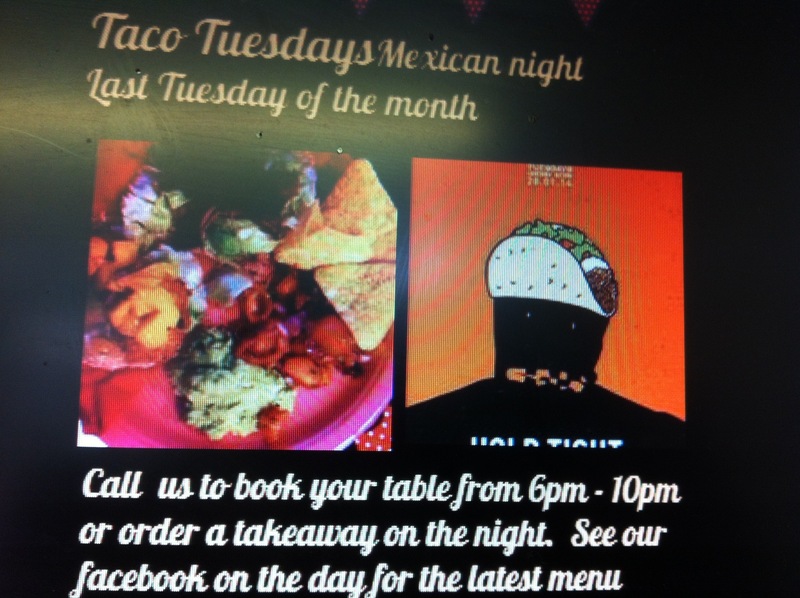 Taco Tuesday’s continue at Cherry Reds in Kings Heath on the last Tuesday of the month. Cherry Reds is in Kings Heath on York Road near The Kitchen Garden Cafe. Veggie options are always on the menu, dates to come 29th July and 26th August. Beautiful soft shell taco’s and killer Margaritas will be on offer. http://www.cherryreds.com for details. 4. Blue Ginger at 72 Poplar Road Kings Heath, serve authentic Singaporian and Malaysian Foood, Its the sister restaurant of my recently reviewed Blue Piano bar and restaurant in Edgbastion. Every Monday night they hold a vegan night, serving vegan dishes. On the menu I’ve counted 5 starters, 7 Mains, 6 sides, and 2 deserts. See webiste http://www.bluegingerrestaurant.co.uk for menu. Contact 0121 444 0999 for reservations. If you order before 6.30pm Monday-friday you get 20% off the food bill. Hoping myself to get to some of those at some point. If anyone knows of any items that maybe considered ‘Tasty morsels’ in your area, and are food and drink related please get in touch or leave a comment on my blog under this post.